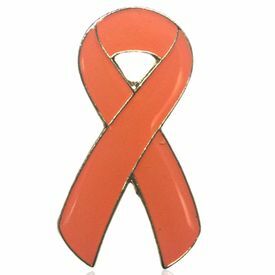 Multiple Sclerosis Awareness ribbon pins are quality crafted. They are 1"x3/4". They come in various cancer colors. Wonderful way of showing your support for Multiple Sclerosis. Great for fundraising!